James Deane makes his return to the series and takes the victory. 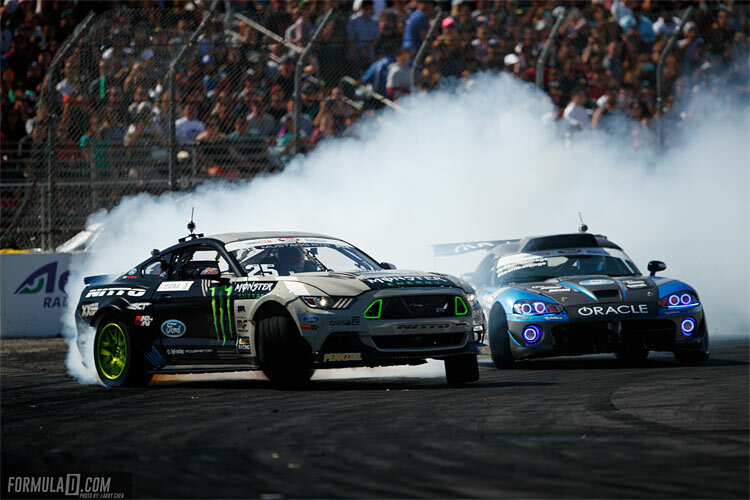 The first round of 2017’s Formula DRIFT series was held this past weekend at the Long Beach Street Course, with a dramatic result. Irish drifting legend James Deane took the win in his Worthhouse Drift Team / Falken Tire Nissan S15. Paddy McGrath wrote an interesting piece over on Speed Hunters celebrating James’s impressive victory. 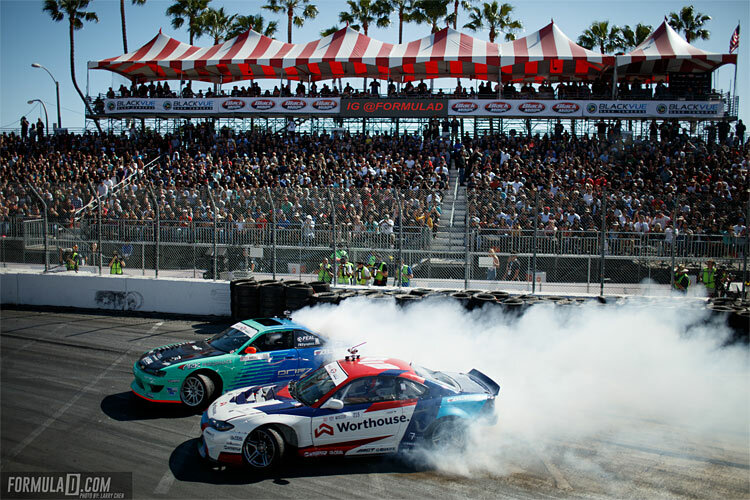 The first event of the season commenced on the Grand Prix of Long Beach Street Course. The highly anticipated event was action packed from start to finish and the capacity crowd witnessed many competitive battles throughout the day. The event also introduced new drivers to the field including Georgy Chivchyan from Russia and Piotr Wiecek from Poland and marked the return of Irish driver, James Deane. 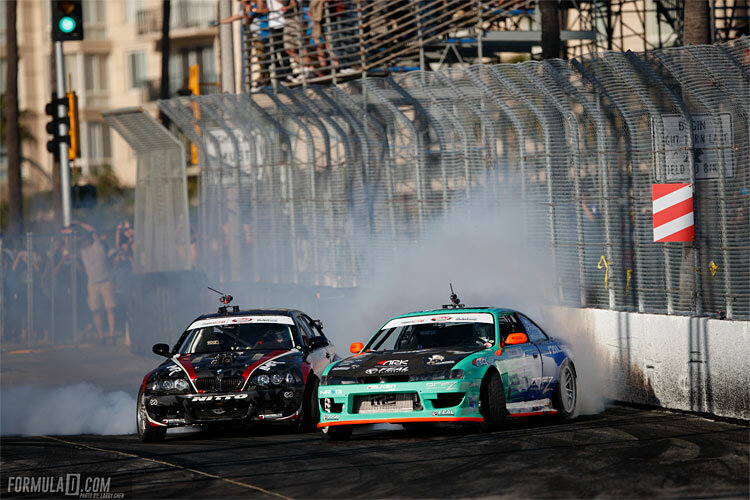 Deane returned to Formula DRIFT after a seven year hiatus from the Series in dramatic fashion. Deane proved to be a contender after qualifying in second position and making his way through to the finals by defeating both former champion Michael Essa and the reigning and 3-time champion, Chris Forsberg. 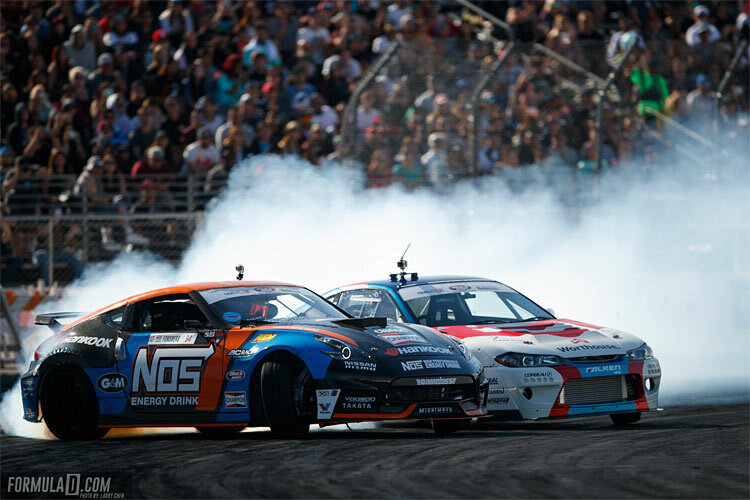 Deane met with Ryan Tuerck in the Gumout / Nameless Performance / Hankook Toyota 86 in the semi-finals and with consistent driving all-day and a solid chase run he was able to advance to the Finals. On the other side of the bracket in the semi-finals, Aurimas “Odi” Bakchis in the Falken Tire / Drifz Wheels / Ark Performance Nissan 240SX faced off against Alex Heilbrunn in the IMR / Nitto Tire BMW M3. After a hard fought battle that was too close to call, the drivers met in a One More Time battle and while chasing Heilbrunn, Bakchis made an error entering the hairpin giving Heilbrunn the win to put him in the Finals. 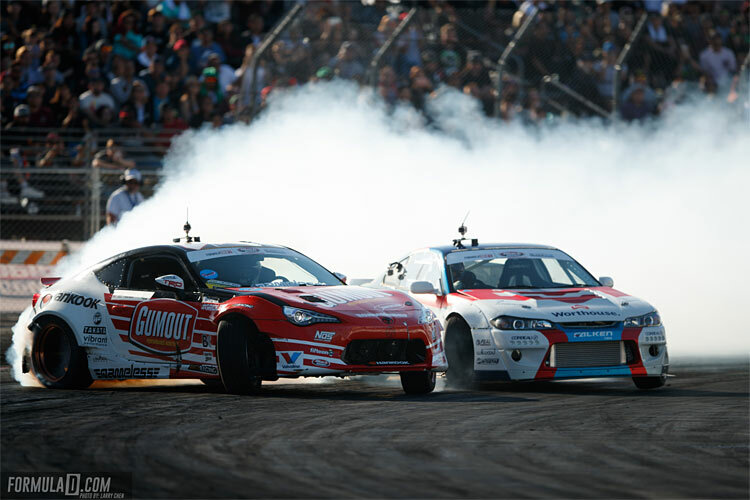 Deane’s consistency and technical driving was no match for Heilbrunn in the Finals and Deane won his first Formula DRIFT victory to take the lead in the chase for the championship. Photo credit: Larry Chen, Forumula DRIFT.